Veterinary Supplies for pets, horses and farm animals. We offer very competitive prices on all major brands of veterinary drugs for both pets, horses and farm animals. Drop in to one of our practices or call us on 01824 702445 to find out more. We endeavour to give our patients the best possible, up to date veterinary care at a reasonable price. All our branches have an easy going friendly atmosphere designed to put our clients at ease and make our services, including our emergency cover as accessible and stress free as possible. We offer a 24 hour emergency service for emergency treatment of all animals and clients registered with us. As the provision of this service 24 hours a day 365 days a year incurs a considerable cost to our practice we charge an additional out of hours call out charge of between £65 - £125 depending on the time of the call in addition to all other normal charges at times when the surgeries are closed. We do not provide a home visit service for out of hours calls for non-registered clients, these cost considerably more and are available for exceptional circumstances. Meet the staff at Wern Vets. Profile and picture. Click here to register your pet online NOW using our easy to use form. Wern Vets have recently been approved as veterinary mentors for the Welsh Assembly Government’s Farming Connect service. If you have an animal health problem that is affecting the profitability of your farm, it is possible for you to obtain one-to-one subsidised support / mentoring on veterinary advice for up to five days. Eligible farmers registered with Farming Connect can claim back 80% of the cost under the Whole Farm Plan service. 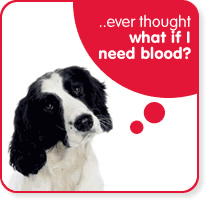 We will be able to spend time looking at .... Read more..
Click here to learn how your dog can donate blood. Click here to view details of any job vacancies we may have.